From a very young age I wanted to be the best. I was obsessed with making myself better so I could one day live my dream of playing in the NFL. This was a lifelong dream and it consumed me. During my career in the NFL, I was blessed to be around a number of great players and coaches. There was one person, however, who had a stronger impact on me than others. My first stop during my career was with the New Orleans Saints. I was an undrafted rookie who was just trying to make the team. The next two years helped shape my views and opinions on greatness and leadership. As we all know, Drew Brees is destined for the Hall of Fame. When I met him, he was still trying to fully recover from the total reconstruction of his throwing shoulder. All the greats have that “it” factor — and he had “it” — but he also had this painstaking attention to detail and an obsession with wanting and willing to be great. My first opportunity to experience this was during my first week in New Orleans. Drew was a “gym rat” like me, so naturally that gave me an opportunity to be around him. I was like his shadow; I wanted to be great and was willing to do whatever I could to be like him. One thing I noticed was the way he went about his job. There was a clear purpose to what he was doing and why he was doing it. There wasn’t one exercise we did or film clip we watched that he wasn’t totally committed to. This takes discipline and a willingness to be the best. Just showing up to work hard isn’t enough if you want to be great. Focusing on and perfecting even the smallest of details allows you to have the opportunity to really explore greatness. I don’t see this to be any different in the workforce today. If you are fortunate enough to work with someone who is at the top of his or her game, seek them out and find out how they got to the position they are in. I feel pretty confident that you will find the same things I found; attention to detail, purposeful action and a willingness to be great. The willingness to be great comes out in many ways. For me, it was spending as much time as I could with Drew asking questions and observing. It was also my coachability and openness to take direction from my coach. His primary focus was to drive my development. I shared my lofty goals with him, which we reviewed daily, and we evaluated where I stood. I was very specific in what I wanted to accomplish and made a point to have him hold me accountable to the highest degree. Being great requires a lot — and it should! Fast forward to present time. 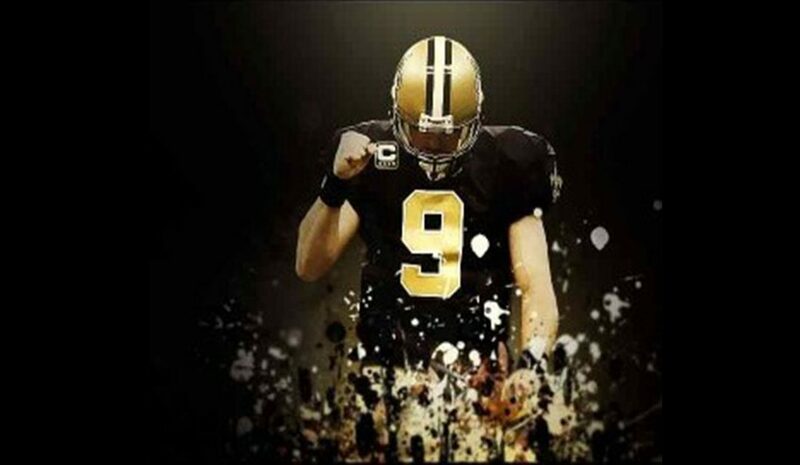 Drew Brees is one of the all-time greats and will be in the Hall of Fame someday. My takeaway from him was invaluable and stays with me today. Being great requires sacrifice and dedication. It requires attention to detail and always finding ways to improve. As a leader or future leader, if you go through the motions and don’t strive for greatness, you will be left in the dust. Are you willing to be great?